Prominent newspaper columnist Chang (or Zhang) Ping, 42, who writes on politically sensitive topics, including Tibet, has been dismissed from his job by Southern Daily Group, publisher of some of China’s best-known newspapers, under pressure from the government. He has a reputation for writing about politically sensitive topics, including democracy, media censorship, the failures of government policy and Tibet, noted New York Times online Jan 27. His commentaries appeared in Southern Weekend and Southern Metropolis Weekly, both of which are published by the Southern Daily Group. 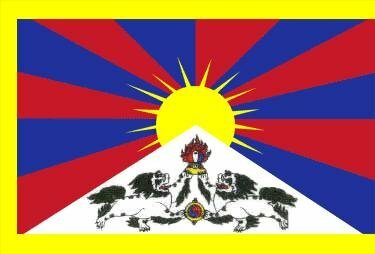 The report noted that a 2008 commentary that carried the headline “Tibet: Nationalist Sentiment and the Truth” enraged Chinese nationalists who supported Beijing brutal crackdown on widespread Tibetan protests that year. In that commentary he urged people to look critically at how the Chinese media reported the riots in Tibet and also complained about distortions and mistakes by the western media, noted guardian.co.uk Jan 17. In late 2008, Mr Chang was removed from his position as deputy chief editor of Southern Metropolis Weekly and was also dismissed as a commentator. But he retained a research position at the Southern Daily Group and continued to write commentaries for other publications. Chang has a simple answer to his current dismissal. “I think it’s because the media censorship has tightened since the Nobel Peace Prize,” the report quoted him as saying, referring to Beijing’s considerable anger over the awarding of the 2010 peace prize to an imprisoned dissident Liu Xiaobo. "The whole media environment is changing. It has become tighter since the Nobel peace prize," guardian.co.uk quoted Chang as saying. Chang has said he had it coming. "Many times I have been told not to write and that if I agreed I would be able to get more benefits than now, but I refused. The reason the paper is giving is that 'pressure from above is too great'," the report quoted him as saying. The report cited Chinese journalists as saying the Southern Media Group had been under increased scrutiny in recent months. Two of its editors and a section head had also been transferred to new positions during the week. Chang has vowed to continue writing.